“Rabbit, Rabbit, Rabbit” but in conjunction with saying that for good luck. I saw on the Internet that this is Adopt a Rescue Rabbit Month, or something like that. You can not always believe everything you see on the Internet though, can you? Capital Area Humane Society says ” February is Adopt-a-Rescued-Rabbit Month! 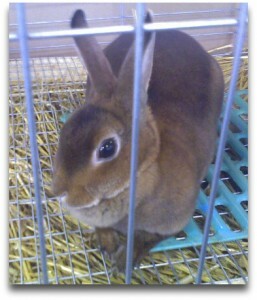 “ The Columbus animal shelter has a photo of a veterinarian with a rabbit on their site now. I actually started with the title “February Adopt a Rescue Rabbit Month?” My permalink is probably still saying “Rescue Rabbit” and not “Rescued Rabbit” and I just don’t care. Don’t know what a permalink is? Don’t worry it has nothing to do with rabbits rescued or otherwise.